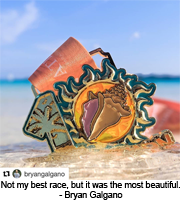 NASSAU, Bahamas (January 3, 2019) – An American father who runs marathons and uses the prize money to help pay for his young son’s medical bills, will be running Marathon Bahamas in January. Bryan Morseman of New York will be taking part in the organization’s 10th anniversary on January 20th. He is optimistic that he’ll get his hands on a cut of the $10,000 prize purse. His son, Leeim, has spina bifida, a congenital spine defect that poses a variety of health problems and can leave a child unable to walk if left untreated. He has physical therapy three times and week but still might not be able to walk. Morseman has a personal marathon best of 2:19:57. “Every time I’m in a race, I think of him and how my pain is nothing compared to what he has gone through. He gives me the energy shot to pick me up and carry me through to the finish,” said Morseman, a lifetime runner. 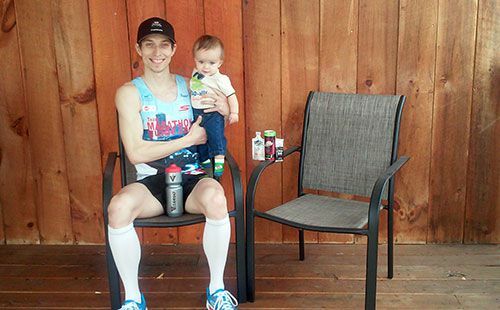 The 33-year-old’s personal best includes 14:57 in a 5k; 30:58 in a 10k; 1:07:18 in a half marathon. Morseman has won 66 out of his 99 marathons to date, including three marathons in the span of eight days in 2016. Morseman’s ultimate goal is to qualify for the U.S. Olympic Marathon trials. The standard to get in is 2:18. But for now, he has pushed the dream aside in favor of running and hopefully winning more races for Leeim. Marathon Bahamas 2019 will be Morseman’s 100th marathon and he anticipates it will be his 67th win. 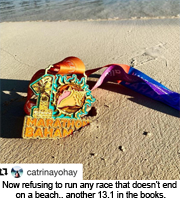 Marathon Bahamas will be celebrating its 10th anniversary with a $10,000 prize purse on January 20, 2019. Marathon Bahamas’ lead sponsor, since inception, is Sunshine Insurance (Agents & Brokers) Ltd.
For information and registration, visit www.marathonbahamas.com.